*When following proper care and use instructions. **Please follow manufacturer's instructions for special coatings used on various metals. 40 cm x 40 cm / 15.7" x 15.7"
Stainless steel appliances are a popular choice for many homeowners, but they are hardly what you’d call “stainless.” It seems that every little smudge, water drop or fingerprint is on full display for the world to see. Quickly polish away streaks, dribble marks—even grease— and restore kitchen appliances and more to bright, shiny and gleaming. Our Stainless Steel Cloth is perfectly suited for the task—its extra-tight weave won’t scratch surfaces. To polish stainless steel, rub dry Stainless Steel Cloth in the direction of the grain. To remove heavier dirt and grime or sticky residues from surfaces, first use a damp EnviroCloth® with a couple of drops of Norwex Dishwashing Liquid to remove the residue. Wipe the surface clean, then polish with the Stainless Steel Cloth. Do not use on anti-glare coated surfaces. Reserving your cloth for use only on stainless steel and other easily scratched smooth metal surfaces will help ensure that large particles and debris won’t have a chance to scratch them. Always test in an inconspicuous place first. Slightly dirty microfiber can be washed with Norwex Dishwashing Liquid under warm running water and used again. Cloths that have been used heavily should be laundered using a Norwex laundry detergent, which contains no fillers, after each use. For tough stains, please pre-treat with Stain Remover or use Microfiber Cleaner Laundry Booster. Do not use bleach, fabric softeners or dryer sheets when laundering. 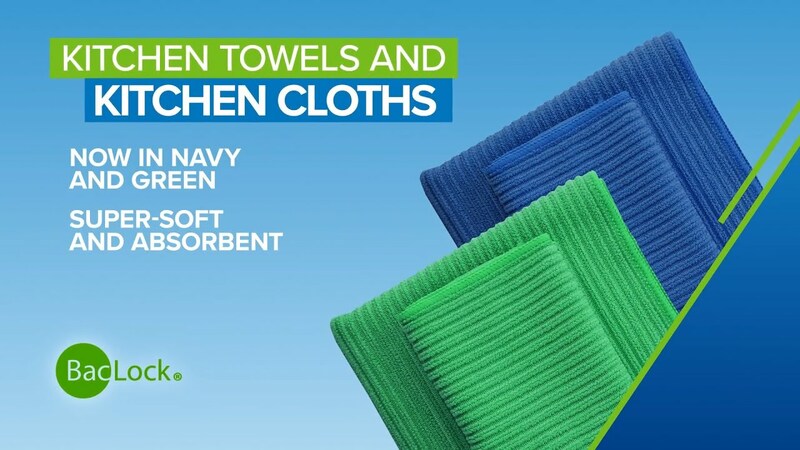 Norwex Microfiber has the ability to remove up to 99% of bacteria from a surface with only water when following the proper care and use instructions. BacLock*, our exclusive micro silver agent in the cloth, goes to work with self-purification properties against mold, fungi and bacterial odor within 24 hours so that it is ready to use again. The cloth’s flat weave makes it perfect for cleaning easily scratched smooth metal surfaces. ***Use caution on applied surfaces. Always follow manufacturer’s instructions. Minerals from hard water can leave spots on stainless steel. Some new stainless steel appliances are treated with a clear-coat finish at the factory, which typical chemical-based cleaning products may strip or mar. *Contains BacLock, an antibacterial agent for selfcleansing purposes only. The agent is solely designed to inhibit odor from bacteria, mold and/or mildew growth within the product.